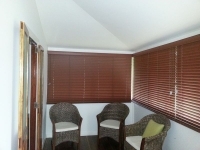 If you would like a blind which provides chic, attractive and uncluttered appearance from any angle as well as privacy, glare and light management then a Venetian blind is for you. 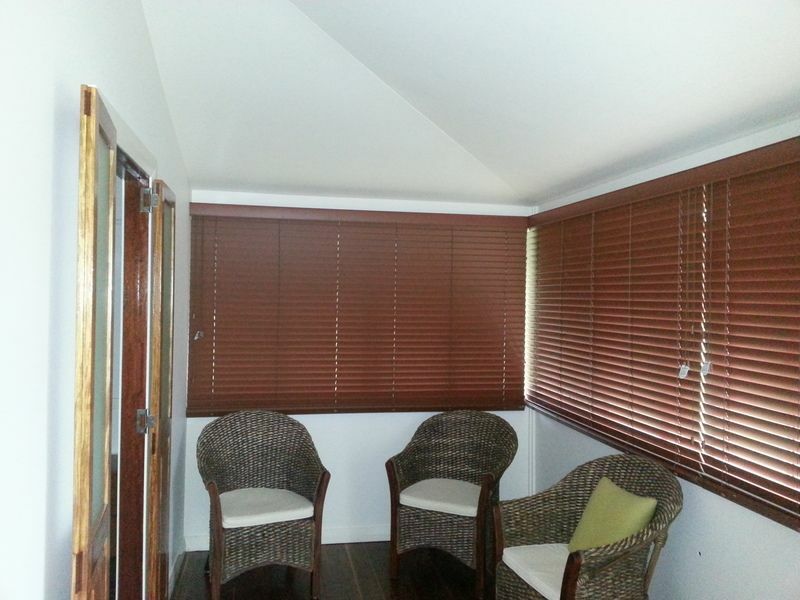 Venetians are great for privacy because they close to block all angles of view from the other side. In the same way they are brilliant to manage your light levels, providing low, medium or high natural lighting by simply adjusting the blades. you can also lift these blinds up and out of the way to give you full access to your views. 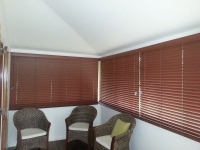 Venetians also offer excellent sun protection to you and your home as they allow light to filter in in a way which limits the sun’s effect. 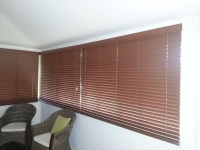 Venetians also offer heat protection since they prevent direct light and glare from the summer sun’s rays from penetrating and heating your home and in winter they help insulate your home against the cold, minimising your energy bills and helping the environment. Aluminium Venetians are available in a large range of colours including plain and patterned colours we well as metallic. 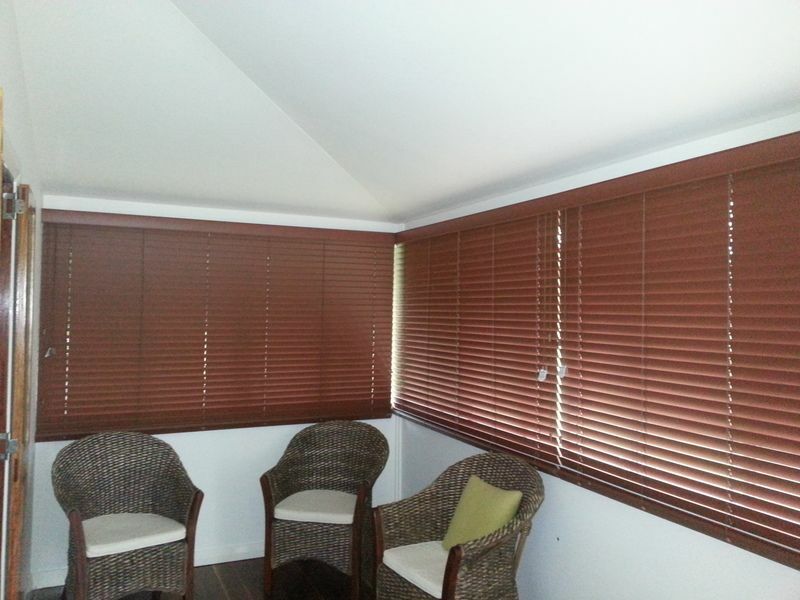 Timber Venetians are available in dark, medium and light lacquer, paint and stain finishes and can be made of several types of wood. 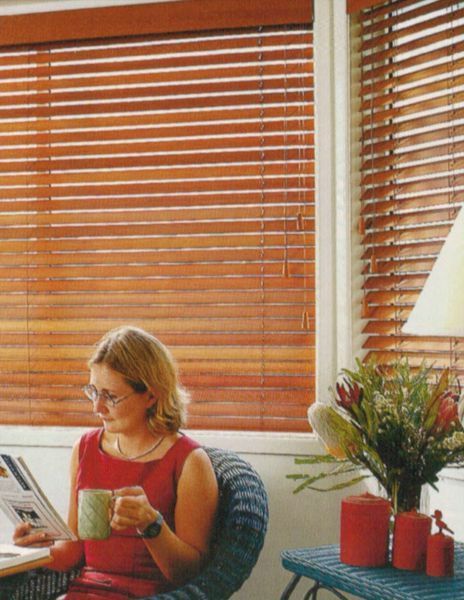 Synthetic, timber look-alike Venetians offer UV fade resistance and are available in a similar range of colours to timber Venetians, allowing you to match products across your home, including in wet areas like your bathroom. These also offer UV fade resistance. 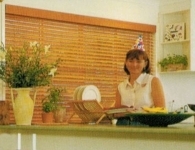 Timber Venetians have a 5 year manufacturer’s warranty.